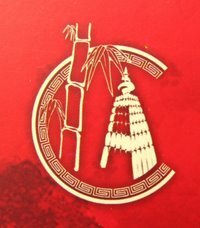 China on Friday ( October 1 , 2010 ) celebrated 61 years of communist rule with the launch of its second unmanned lunar probe , Chang'e -2 -- the next step in its ambitious programme for an unmanned moon landing in 2013, with a possible manned lunar mission to follow in 2017 and further exploration of outer space. 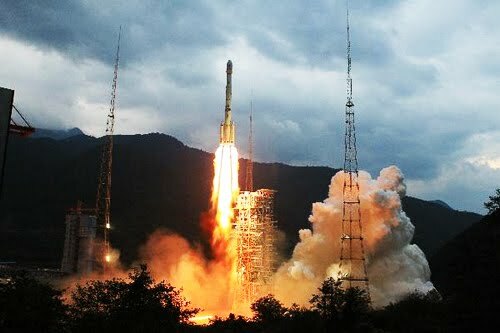 A Long March 3C rocket with the Chang'e-2 probe took off from Xichang satellite launch site in southwest China's Sichuan Province at about 1100 GMT ( Beijing time -18:59:57 ). The rocket will shoot the craft into the trans-lunar orbit, after which the satellite is expected to reach the Moon in about five days. Chang'e-2 will orbit 100 kilometers above the moon, compared with 200 kilometers for Chang'e-1. Chang'e-2, is named after a legendary Chinese goddess . Chang'e is the Chinese goddess of the moon . Unlike many lunar deities in other cultures who personify the moon, Chang'e only lives on the moon. As the "woman on the Moon", Chang'e could be considered the Chinese complement to the Western notion of a man in the moon . The satellite will be maneuvered into an orbit just 15 kilometers above the moon. 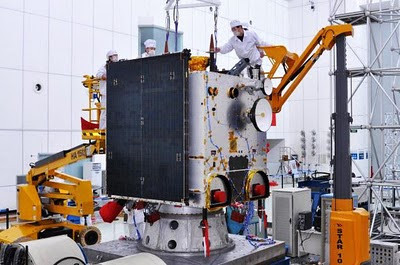 At that point, Chang'e-2 will take pictures of moon's Bay of Rainbows area, the proposed landing ground for Chang'e-3, with a resolution of 1.5 meters. The resolution on Chang'e-1's camera was 120 meters. If Chang'e-2 sends back high-resolution photos of the Bay of Rainbows, which is considered one of the most beautiful features on the moon, the mission can be deemed a complete success. The geological structure in this area is diverse, so a probe there would have greater scientific value.